John Blake is a traditional Irish flute player, guitarist and pianist. An ex member of traditional group Téada, John has performed and recorded with the cream of Irish musicians including John Carty, Paddy Glackin, Noel Hill, Liam O’Flynn, Jesse Smith, Harry Bradley, Colm Gannon, The Kane Sisters and James Kelly. Brought up in London, John moved to Ireland in 1998 and developed a reputation as an accompanist of note, racking up several album credits. He joined traditional band ‘Téada‘ in 2001 and toured with them for 3 years, at which point he got off the road and settled into a job in Na Píobairí Uilleann (The Pipers Club) in Dublin. In 2003 John was runner up in the Irish Echo’s ‘Irish Traditional Musician Of The Year’ and in 2013 released his debut solo album ‘The Narrow Edge’. 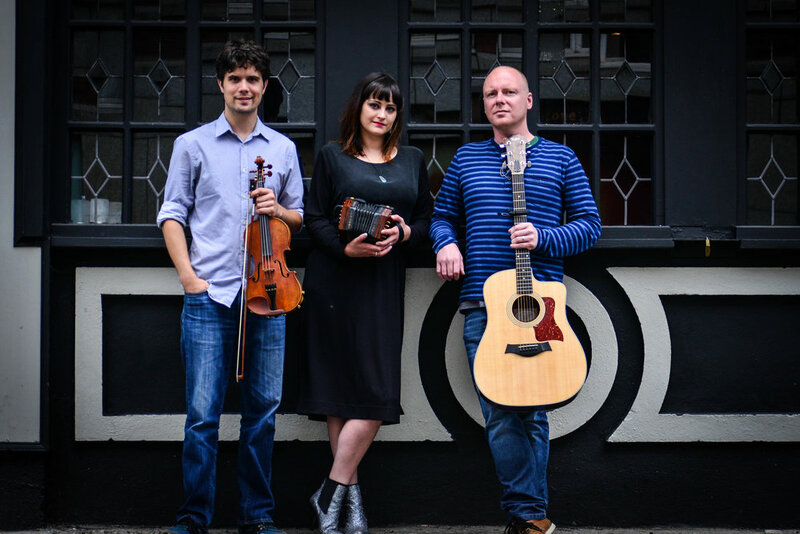 A former member of Chulrua, the Doon Ceili Band, the Two Tap Trio, and the Máirtín de Cógáin Project, Nathan Gourley started playing music at age five. While living in Minnesota he had the opportunity to collaborate with such renowned players as Paddy O’Brien of Chulrua, Daithi Sproule of Altan, Brian Miller of Bua, and Norah Rendell of The Outside Track. Now a resident of Boston, Nathan has recently released 'Life Is All Checkered' with Laura Feddersen and 'Copley Street' with Joey Abarta. Our new album is available on Bandcamp and CDBaby.